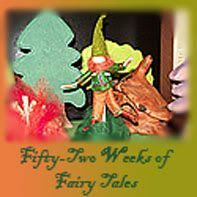 This past September and October in my Sunday School Class we have been focusing on Old Testament Stories from Genesis. This week I plan on sharing what we've been up to. 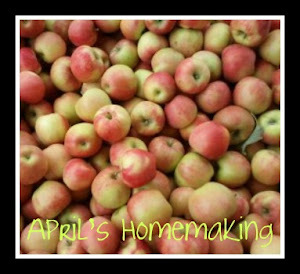 I last posted our lesson on Adam and Eve through Cain and Abel , the next story we learned was Noah's Ark. 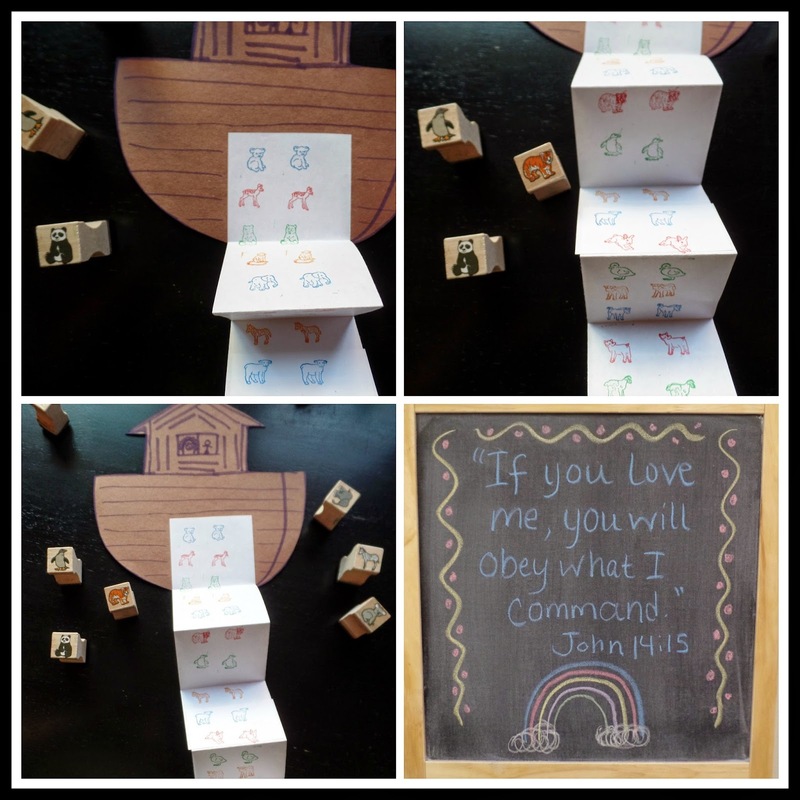 I had a plan for our Noah's Ark Lesson for quite some time. 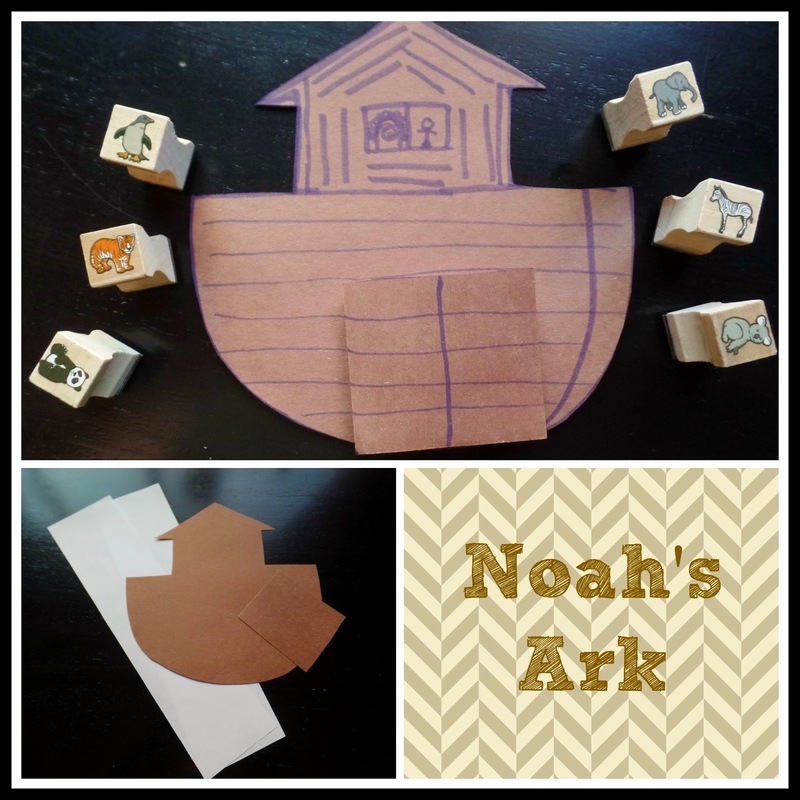 Whenever I teach Noah's ark and do a craft, I find it can be difficult to locate enough animal stickers or pictures in pairs for my whole class. So I thought I would find stamps of animals that could be used over and over again, and easily could be stamped in pairs. Then I came up with a simple paper craft to use our stamps with. 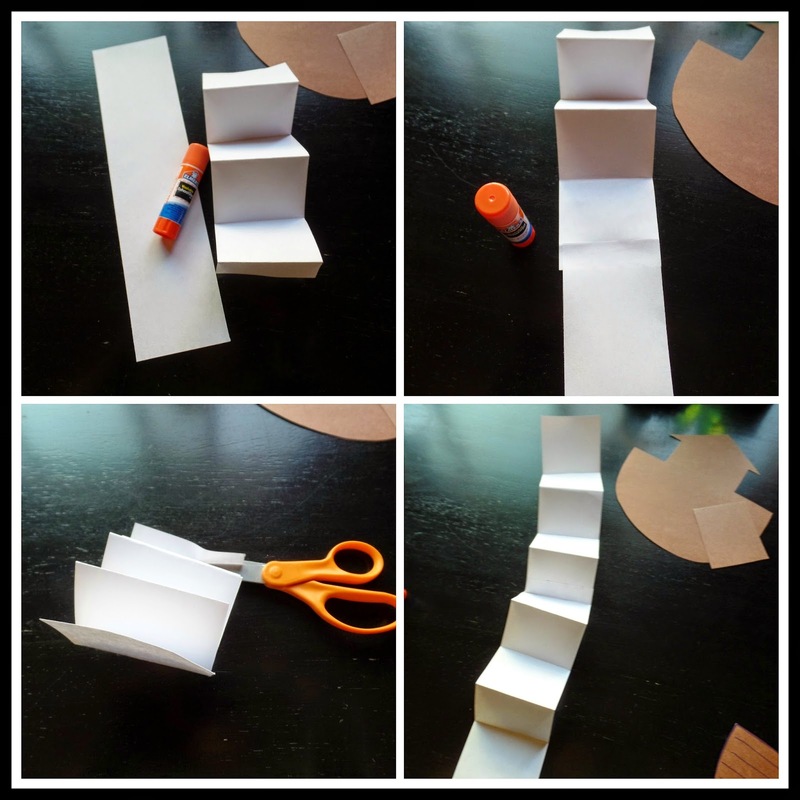 You will need 1 brown sheet of construction paper, and one sheet of regular printer paper, glue stick, scissors, markers, and stamps with ink pads. I used the Melissa and Doug Baby Farm Animal Stamp set and Baby Zoo Animal Stamp set. You can find them at Amazon, I have provided my affiliate link below. Melissa and Doug have multiple stamp sets, I hope to add more to my collection, I think they would be very useful for multiple crafts. Start by cutting a sheet of printer paper into three equal strips from top to bottom, so you have three long strips of paper. I only used two of these paper strips for each Noah's ark. I made sure to cut enough in advance for each student. 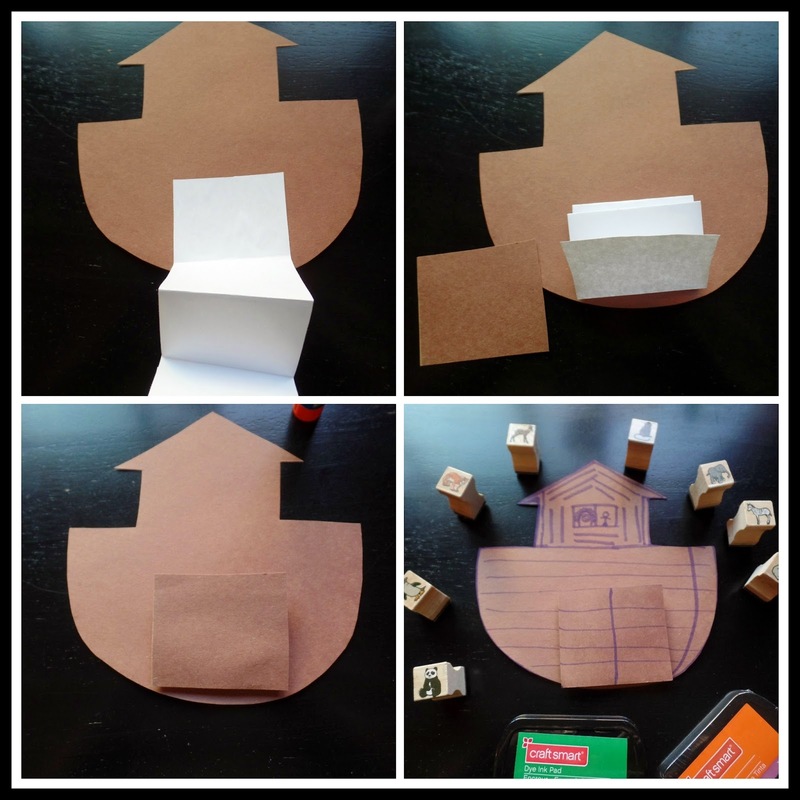 Then I traced a basic Noah's ark shape on the brown construction paper, and cut it out, along with a brown square that was slightly bigger in width that the paper strips. I cut out all of the ark shapes, doors and paper strips in advance, since I sometimes have a large class, and some children are still learning to work with scissors I find it best to cut out shapes in advance. Fold the first strip of paper accordion style like shown, then glue on the second strip, and continue folding until you have one lone accordion folded paper strip, trim off any last bit of paper that does not fold into a complete section, so when it is folded up it is a little square (see third picture above). Then glue the top square of the accordion to the bottom of the ark shape, like shown above, be sure and glue it so the accordion paper strip will open downward making a ramp into the ark. Fold up the accordion like shown above in picture 2, then glue on the brown paper square to cover the accordion strip, which then becomes the ark's door. The ark can be decorated with markers at this point, then its time to stamp the animals. I set out ink pads around the table, and set out half the animal stamps on each half of the table, when each side of the table was done stamping all the animals from that side of the table, we swapped animal stamps so everyone got to use every animal stamp. Each animal stamp was stamped twice, side by side, so there were pairs of animals leading up the steps. This was everyone's favorite part of the craft, using the stamps was fun and easy. "If you love me, you will obey what I command." John 14:15 We discussed how Noah obeyed God and why we should obey and trust God too. I also provided color pages and printable activity sheets, which I do for almost every lesson, for the kids who love to color or do activity pages like mazes, sometimes having an activity sheet helps them concentrate during story time. I also got out our Noah's ark playset which my class always enjoys setting up and playing with all the animals. 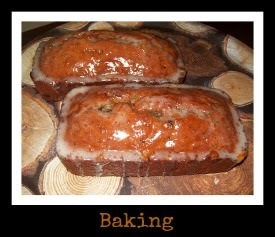 This was definitely a fun craft and lesson, and one I will use again with future classes. 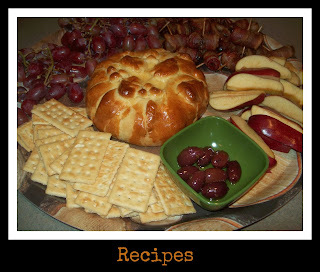 Next up I will be sharing what we did for the Tower of Babel and Abraham. 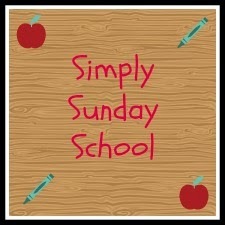 Check out all of my Simply Sunday School Lessons at the Link below. Lovely idea - thank you!